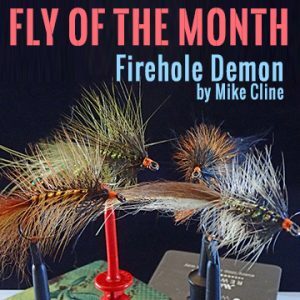 This entry was posted in Fly of the Month, Fly Tying Materials & Supplies, Mike Cline, Bozeman MT, Our Regular Contributors and tagged fly fishing, fly of the month, fly tying, fly tying recipe on June 28, 2018 by Mike Cline. What goes up must come down! 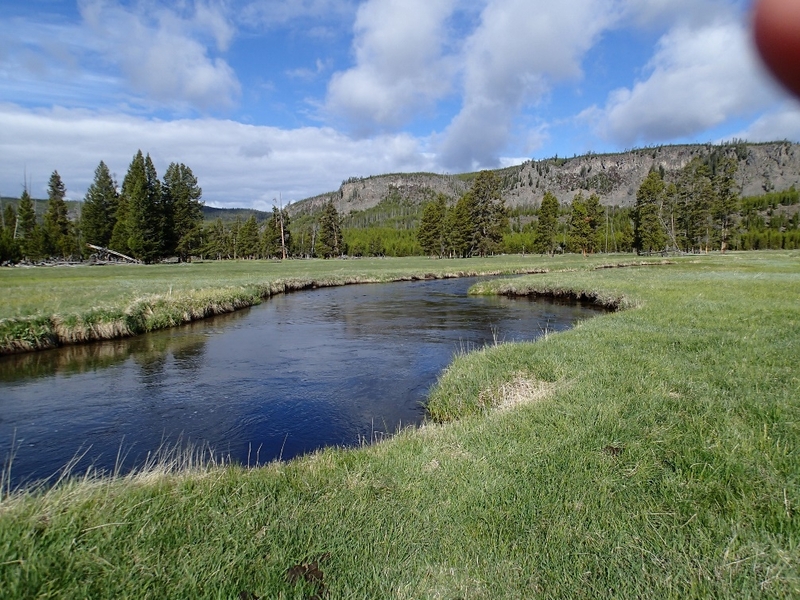 Like clockwork, the June cycles of the Firehole River in Yellowstone provide for a challenging angling experience. A light work schedule (thankfully nothing since late March) allowed me to string a series of seven day-trips between May 28 and June 12 to the Firehole during the opening salvo of the 2018 Yellowstone National Park season. Each year, the park season opens on the Saturday of Memorial Day weekend. Despite having outstanding fisheries throughout the park, it is rare that any water other than the Firehole is fishable on the opener. It always attracts a lot of anglers, especially those that can make the easy trip from Utah, Idaho, Colorado and Montana for the weekend. However, by Monday, Memorial Day itself, the initial pressure subsides quite a bit. That’s when I make my first foray to the Firehole, always hoping for decent, fishable conditions. This entry was posted in Fly Fishing Life, Mike Cline, Bozeman MT, Our Regular Contributors and tagged firehole river, fly fishing, fly fishing season, Montana fly fishing on June 25, 2018 by Mike Cline. We see recipes for this fly or that, calling out a variety of exotic materials, usually claiming that the ones most difficult to find are the most critically necessary to a wily fish’s eye. This is especially true for trout flies, given that so many other species appear triggered more by color and motion than by the differences between how an Australian Possum and a Fur Seal chose to evolve their fur. This entry was posted in Fly Tying Materials & Supplies, Michael Vorhis, Fly Fisher & Author, Our Regular Contributors and tagged fly fishing, fly tying, fly tying materials, fly tying tips on June 12, 2018 by Michael Vorhis.